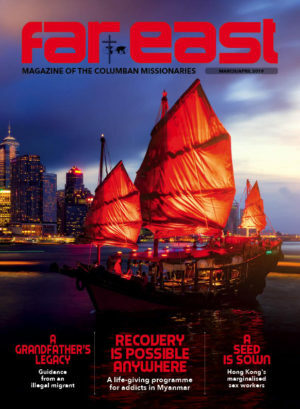 The Columbans are a missionary society of priests who work in cooperation with lay people and Columban Sisters from a standpoint of solidarity with the poor and integrity of creation. Solidarity with the poor means that we recognise the moral challenge of worldwide and local poverty. It means supporting the struggle of the poor for real participation and against injustice. 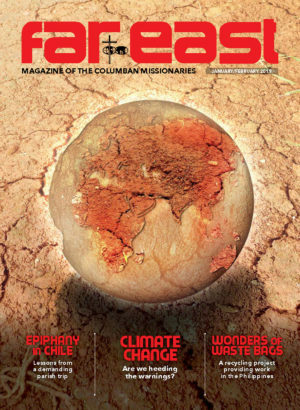 Columban Missionaries see solidarity with the poor and commitment to integrity of creation as essential elements of our missionary commitment. Within this framework, we often find ourselves working with and accompanying people who are suffering great injustices. 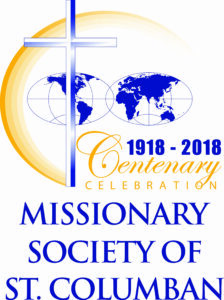 We believe that the gospel of Jesus Christ demands that his followers, the Church, challenge the scandals of poverty, suffering and violence.